Idea Cellular has been rolling out new prepaid plans every now and then, and the telco now rolled out a Rs 19 prepaid tariff plan for its prepaid subscribers. The Rs 19 prepaid plan from Idea offers benefits in-line with Airtel Rs 19 prepaid plan and better benefits than Jio’s Rs 19 prepaid plan. The validity of this plan is two days, not one day like Reliance Jio’s plan and it gives unlimited voice calling benefits, SMS benefits and data benefit as well. Alongside the Rs 19 plan, Idea Cellular is also offering a Rs 9 prepaid plan, which offers benefits for one day. With the Rs 19 prepaid plan, Idea Cellular is offering unlimited voice calls even on roaming, 150MB of data and 100 SMS for two days. The voice calls are limited to 250 minutes per day and 100 minutes per week. The Rs 9 prepaid plan gives unlimited voice calls, 100 SMS and 100MB of data for one day. The voice calling FUP applies to the Rs 9 tariff plan. When compared this Rs 19 plan from Idea Cellular to that of Reliance Jio’s, the latter is offering unlimited voice calls without any FUP limit, 150MB of data and 20 SMS for one day. Airtel also has these prepaid plans- Rs 9, Rs 19 and Rs 23. The Rs 9 plan gives same benefits as that of Idea Cellular’s plan. 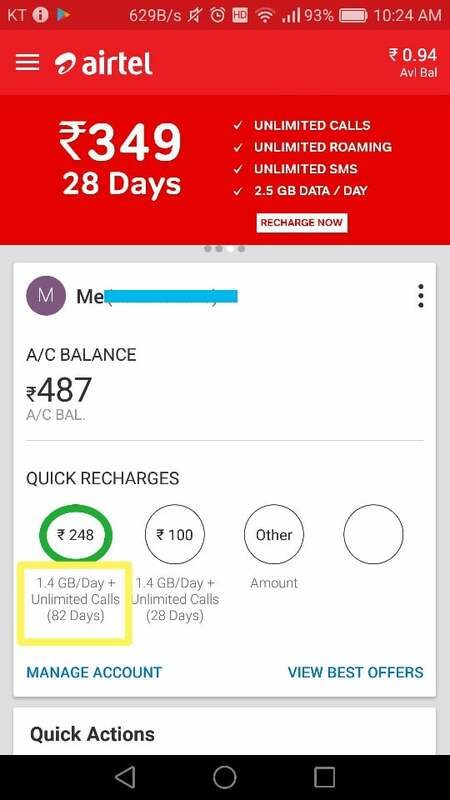 The Rs 19 Airtel tariff plan provides the user unlimited voice even on roaming, 150MB of data and 100 SMS per day for two days, whereas the Rs 23 prepaid plan gives 200MB of data, which is the only change between the Rs 19 and Rs 23 plan. These plans from Idea Cellular and Airtel are aimed at users who’re looking for limited validity plans. 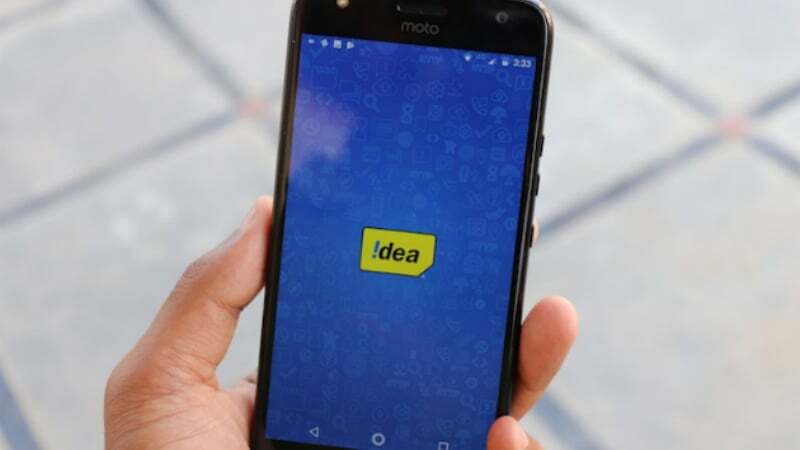 Idea Cellular is also providing other plans such Rs 109 which competes with Jio’s Rs 98 affordable plan, Rs 149 plan with 1GB data per day in Himachal Pradesh circle and the standard long-validity plans of Rs 199, Rs 357, Rs 399, Rs 449 and Rs 509 which offer 1.4GB data per day, unlimited calls and 100 SMS per day. Just checked my Airtel Delhi Prepaid number and surprised to see this… Airtel gives hard competition to other telcos nowadays in India. What type of ‘unlimited’ is this?